Admittedly the majority of sun-seeking visitors arrive in the British Virgin Islands during winter. However, time does not stand still once the high season is over. In fact, summer visitors have the distinct advantage of special packages and summer savings on everything from resort hotels to vacation villas, boutique properties, restaurants and entertainment. The major attraction, however, remains the destination itself – an idyllic cluster of tropical islands and islets lying northeast of Puerto Rico. Fanned by steady trade winds, the sheltered coves and beaches of this arc-shaped archipelago are endlessly washed by gentle Caribbean waves. The BVI, as they are commonly known, have been attracting tourists for decades and special summer pricing is merely an added bonus to what the islands have to offer in terms of enormous natural assets and interesting things to see and do. For instance, “yachties” worldwide recognisze the BVI as one of the top charter sailing venues on the planet while the waters surrounding the islands offer some of the best diving and snorkelling in the Caribbean. Today, the 60-plus sand-fringed islands and cays are an Overseas Territory of the United Kingdom but following their discovery by Columbus in 1493, a long period of “musical colonies” took place with alternate occupation by the Spanish, Dutch, French and Danish until the English finally gained a firm foothold. Under the British, cotton and sugarcane plantations sprang up, followed by the production of rum, spices and indigo. At the same time, infamous pirates such as Blackbeard and Henry Morgan used the BVI’s myriad coves and bays to launch plundering attacks on Spanish ships laden with South American gold. True or not, legend has it that precious pirate booty may still lie buried on the islands. Piracy eventually died out and by the early 20th century, the islands’ agriculture-based economy had collapsed. Enter BVI tourism. Blessed with a superb tropical climate and a beautiful unspoiled environment, the islands rapidly grew to become the significant tourist destination they are today – winter and summer. The main islands in the archipelago are Tortola, Virgin Gorda, Anegada and Jost Van Dyke, together with at least 50 other smaller islands and islets. Overall, only about 15 are inhabited with the capital of the BVI being Road Town, Tortola, the largest island in the group at 20 kilometres long and five kilometres wide. None of the islands are extremely large but the punch they pack in terms of their tourism attractions is immense. Ancient volcanic eruptions are responsible for creating the islands that are generally green and hilly with irregular waterlines. 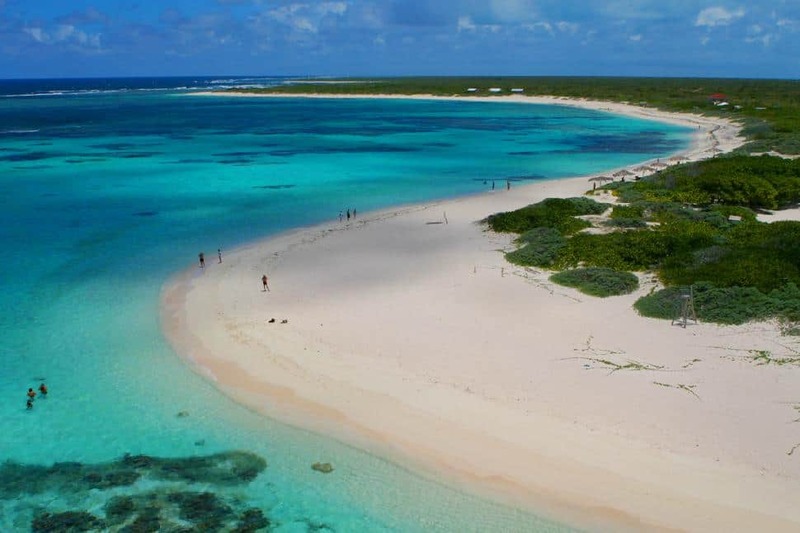 (Anegada is the only exception having a flat terrain comprised of limestone and coral). Many of them are visible from one another with ferries making it possible to have breakfast on one island, lunch on another and dinner on yet another. The BVI are is a popular cruise ship stop destination and visitors arriving by air will land at the Beef Island Airport off the eastern end of Tortola. June through September will have the warmest daytime temps of up to 35°C with ever-present trade winds acting as a natural cooling system. Picture a stunning, five-bedroom oceanfront villa on Virgin Gorda or one of the other inhabited islands. There are literally hundreds of these, both large and small, with many of them featuring a private pool, daily maid service and almost all of them offering substantial summer discounts. In addition to a remarkable inventory of villas, the BVI have more private boutique-inspired resorts (often luxury or deluxe properties) than any other island in the Caribbean. These, too, offer summer savings on rates that would be appreciably higher during the winter season. Even the exquisite Peter Island Resort and Spa, a world-renowned private island oasis, extends offers summer packages that are extremely enticing for a property bathed in relaxed elegance. Guests have the entire island to themselves in an environment that can only be described as a tropical paradise. Throughout the islands, there are also cottages and small inns, some of them featuring an outright savings of $150 or more on a two-bedroom unit for a five-night stay. In fact, discounts on accommodations of up to 30 per cent can be found and some properties are offering seven nights for the price of six, and while many have a kids stay free policy. There are romance packages, family specials, stay and sail packages, dive deals, plus wedding and deluxe packages – to name a few. Furthermore, it’s not just BVI resorts, hotels and villas that feature summer discount deals. 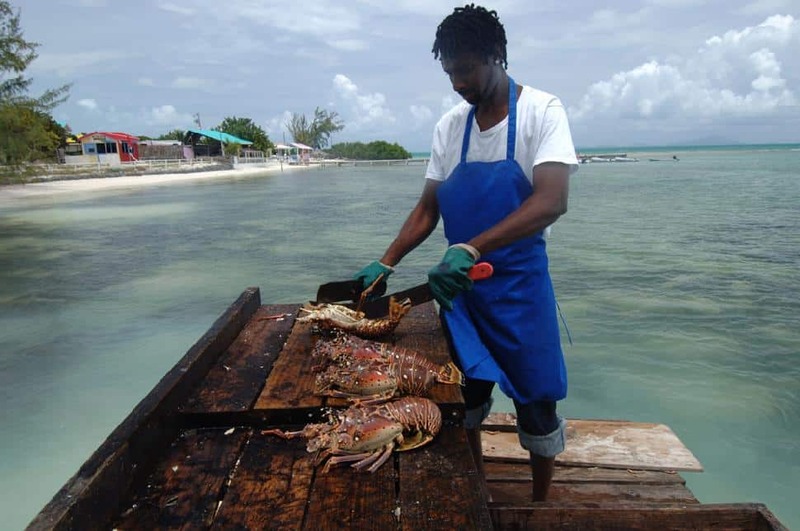 For example, a fishing adventure package on Anegada that includes three days and two nights deluxe lodging, plus meals, guided deep sea fishing, an eco tour of the island, plus a three-day jeep rental tallies up to well under $2,000 a couple. Water sports, land tours and restaurants likewise feature price deals generally not available during winter. Constant sunny skies, awesome turquoise waters, favourable winds and effortless navigation in and around the islands, are a sailor’s dream. Moreover, a sailing getaway is not limited to people skilled in the operation of a vessel. Several of the islands’ yacht charter companies will provide a skipper for a day, a week or more. Living onboard and sailing from one island to the next – occasionally laying anchor for a beach barbecue, a fresh lobster feast, or dinner at one of the BVI’s many upscale restaurants or resorts – is the stuff memories are made of. In addition, yacht charter companies also offer exceptional summer savings such as 10 days sailing for the price of seven, plus various other discounted packages. Together with fishing, wind surfing and kayaking, the same sea-based environment that favours sailing is also ideal for scuba diving and snorkelling. The waters are clear and the sites are numerous with the sea teeming with colourful fish and coral. There are natural underwater reefs, caves, canyons and ancient shipwrecks such as the famous RMS Rhone, a classic steamer that sank off Salt Island during a storm in 1867. The Anegada Reef, for instance, is the underwater graveyard of at least 300 shipwrecks including Spanish galleons dating from the 1600s. 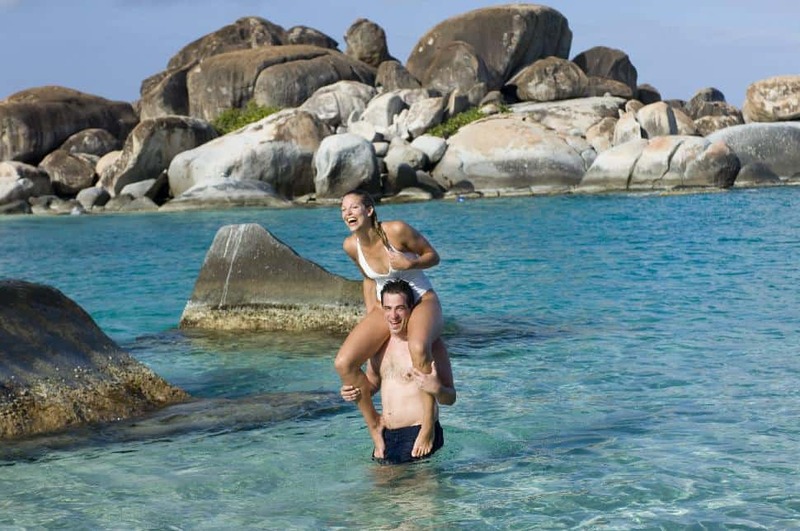 No trip to the Virgin Islands is complete without seeing the famous Baths on the southwest tip of Virgin Gorda. Considered one of the BVI’s major tourist attractions, the site is dominated by an unusual formation of huge granite boulders, possibly volcanic in origin. Seeming to have randomly toppled onto one another, the mammoth rocks form grottoes that are open to the sea. Alongside Tthe Baths, is an ever-popular swimming beach constantly strewn with a mass of sun-seeking tourists. Also on Virgin Gorda – an island particularly popular with moguls and movie stars – the Bitter End Yacht Club is considered one of the premier resorts in the world. Not only is this elegant property with an enormous stretch of white sand waterfront well worth seeing, it’s dining facilities are world class and for the discriminating tourist, there’s no better place in the islands to spend a vacation. The resort features oodles of land- and water-based activities and during summer there are attractive special deals ranging from wedding packages to family discounts, girlfriends’ getaways and dive packages. While the Bitter End Yacht Club is world-renowned, so is Foxy’s Tamarind Bar and Grill. Although entirely different in character, with Foxy’s place writing the book on casual, the most famous bar in the Caribbean has a reputation that extends to the four corners of the globe. It has a long history of worldwide notoriety for its fun, music, food and parties. 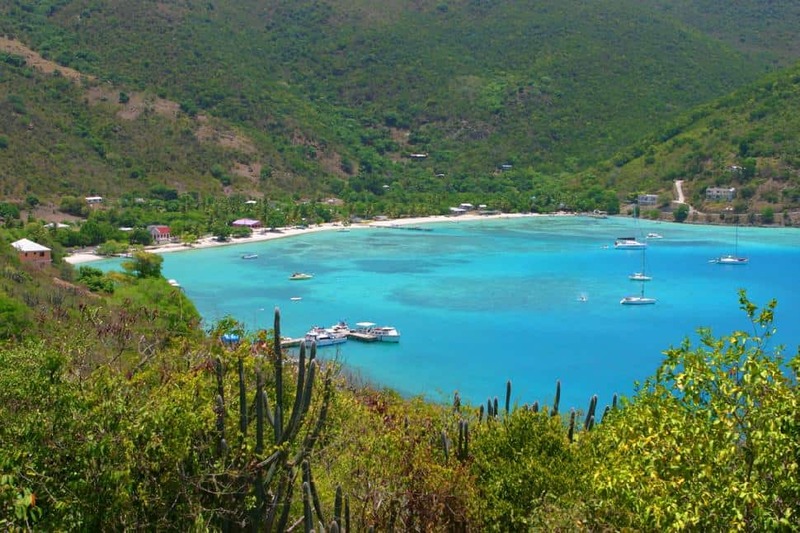 Located on the south shore of Jost Van Dyke, this beachfront attraction that dates back to the late 1960s is a BVI institution and a favourite haunt for sailors and landlubbers alike. Visitors without a boat can get there by water taxi, private charter or ferry service. It’s almost a rite of passage for anyone visiting the BVI to spend a few hours at Foxy’s, thereby granting them unofficial membership in a global association of fans. The owner, “Foxy” Callwood, is usually on hand to strum his guitar and serenade guests with impromptu calypso tunes. There is aA multitude of dining spots exist across the islands from unassuming mom-and-pop eateries to upscale restaurants. Not surprisingly, the general cuisine in the islands is West Indian Caribbean with fresh seafood almost always on the menu. Fun places to eat include Sidney’s Peace and Love, an unpretentious family-run establishment on Jost Van Dyke that is almost as famous as Foxy’s and where the food is good and the bar is self-serve. Also among a vast number of places that exemplifies the BVI shoreside, sand-in-your-toes type eateries is Cow Wreck Beach Bar & Grille on Anegada, a name adopted following the sinking of a ship laden with bovine bones that went down in the waters not far from the beachfront restaurant. In spite of its odd name, the food regularly receives A-plus reviews. Certainly, there is a vast range of eating spots between a casual place like Cow Wreck and the BVI’s scores of upscale restaurants, which means there is something for every taste and budget. 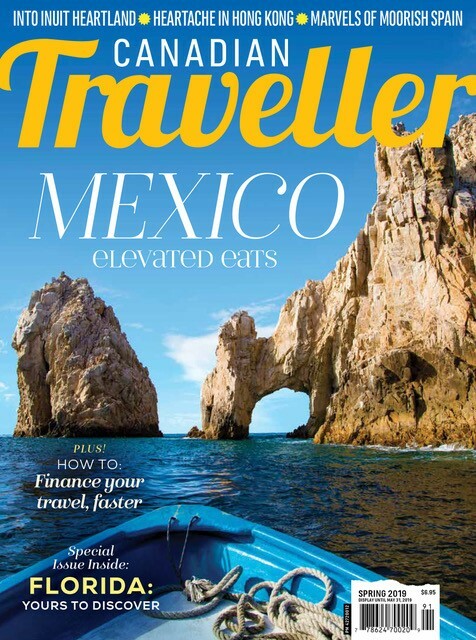 Moreover, plenty of them have introduced money saving incentives for summer visitors. Among the island’s top restaurants is Biras Creek, housed in a stone, castle-like structure on Virgin Gorda where the setting is romantic and the ambience sophisticated. This establishment is renowned for its gourmet cuisine and the most extensive wine list in the islands. The Brandywine Bay restaurant just outside Road Town, Tortola, has a reputation for exquisite food in an intimate candle-lit setting. Housed in a vintage house on the site of an 18th-century British fort, this establishment is an example of the quality and refinement to be found in the BVI dining scene. Clearly, when it comes to food the islands are all about choice. 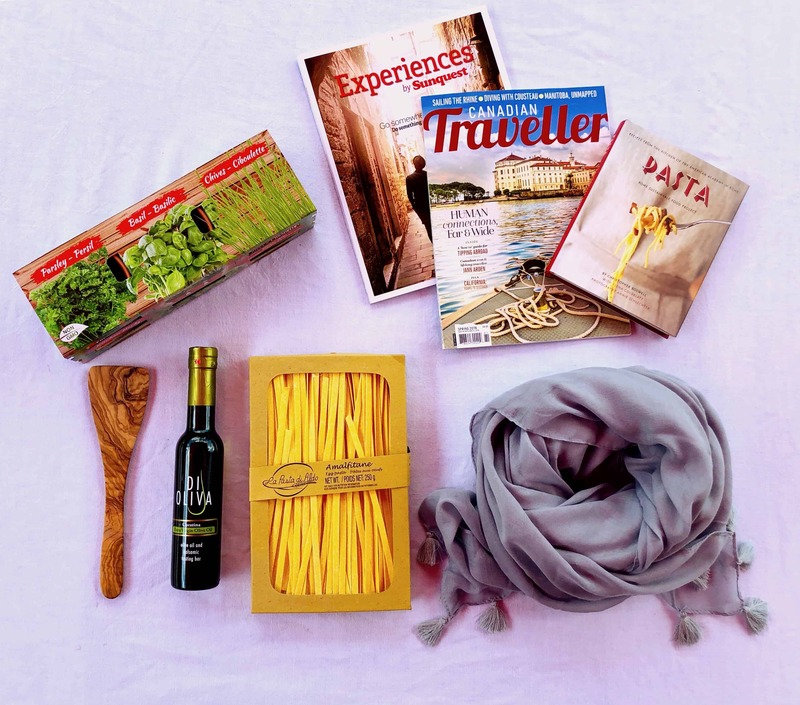 Visitors can dine at picnic tables on the edge of a sun-bathed beach, enjoy one of hundreds of mid-range restaurants, or dress up for dinner at a fine dining establishment.